Turri’s pre-cooked filled pasta is IQF (individually quick-frozen) to preserve flavor, quality and consistency. We produce our filled pasta with high-quality beef, rich blends of Italian cheeses, and Italian sausage and veal using our own family recipes or custom recipes just for you. Our filled Ravioli, Shells, Tortellini, Cappelletti, Manicotti, Cannelloni, Pierogi and Gnocchi are proportionally packaged for easy preparation while minimizing waste. 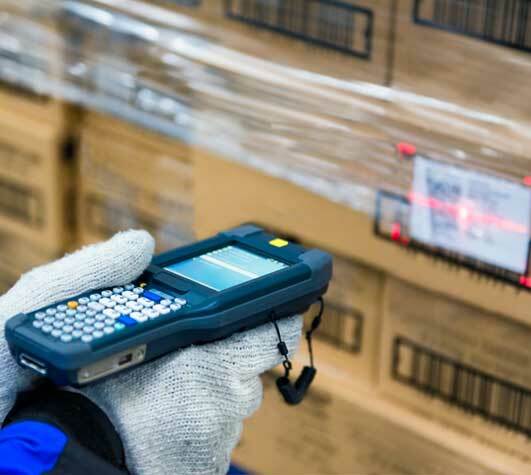 All of our pasta products are produced to the highest quality and safety standards. 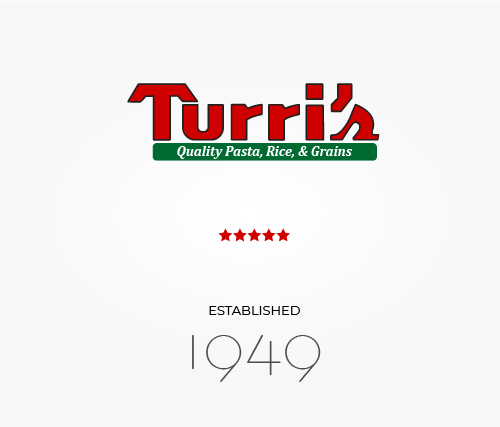 The Turri family has been producing high-quality, authentic Italian meals for nearly 70 years. 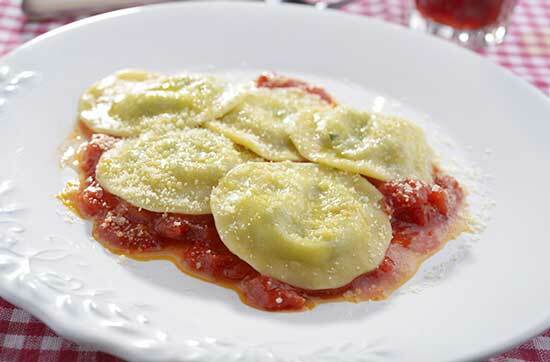 Turri’s ravioli is pre-cooked, made with pillows of egg enriched pasta and filled with premium meat and cheeses. 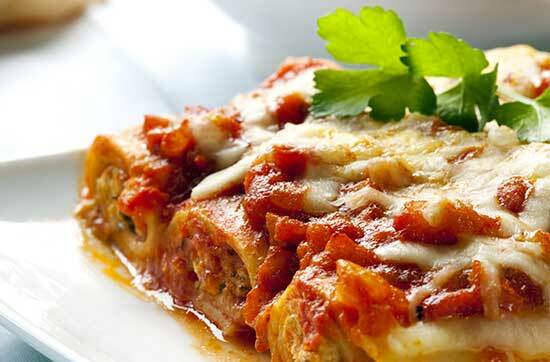 Our delicious Italian family recipes are sure to be a popular with your customers. 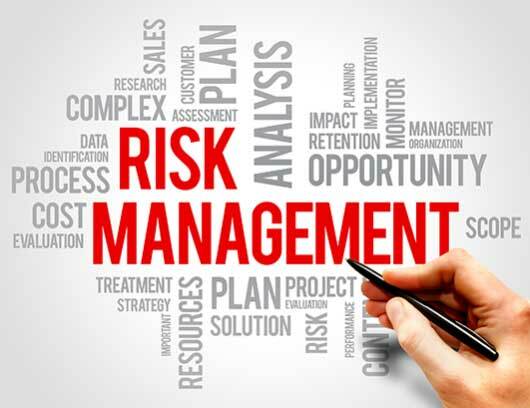 We take great care in our ravioli preparation to protect the integrity of the pasta itself and maintain the great flavors of the ingredients. Turri’s “Old Fashion” Beef Ravioli is made with a coarser grind of beef which makes the the filling chunkier, like Mama used in her Ravioli. We blend our chunky lean beef with Ricotta and Parmesan Cheeses to make this home style favorite. 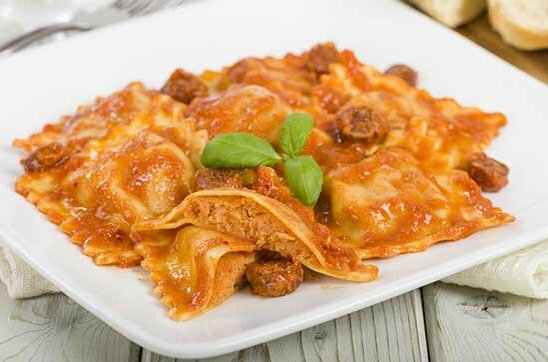 Turri’s Beef Ravioli is made with medium square pillows of egg enriched pasta are filled with lean Beef, Romano, Provolone and Swiss Cheeses. Turri’s Italian Sausage Ravioli is made with jumbo square pillows of egg enriched pasta and filled with our own Italian Sausage, Mozzarella Cheese and just a touch of cracked red pepper. Turri’s Cheese Ravioli is made with pillows of pasta and filled with our “Quattro Formaggio” blend of Ricotta, Romano, Parmesan and Mozzarella Cheeses. 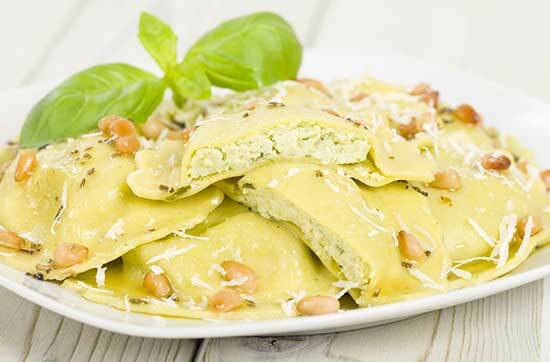 Turri’s Cheese Florentine Ravioli is made with a rich filling of Ricotta Cheese, Parmesan Cheese, and Spinach. We recommend serving this delicious Ravioli with Alfredo sauce. Turri’s Tortellini and Cappelletti are pre-cooked, bite-size filled egg enriched pasta. 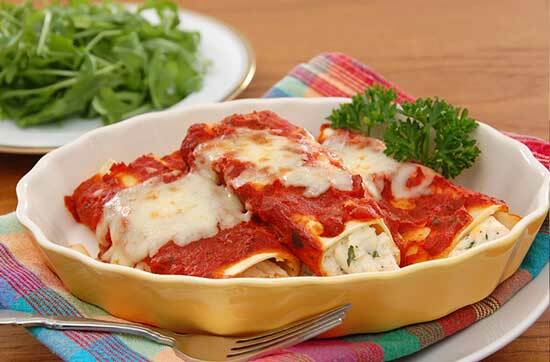 They are also made with spinach and stuffed with premium meats and rich blends of Italian cheeses. Tortellini and Cappelletti can be served as a main dish, side dish, served hot or cold, and is commonly used in hearty soups. We take great care in our filled pasta preparation to protect the integrity of the pasta itself and maintain the great flavors of the ingredients. Turri’s Tortellini with Beef is filled with lean ground Beef, Asiago Cheese and Parmesan Cheese. 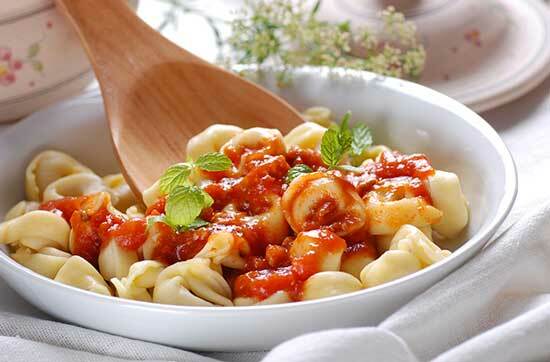 Beef Tortellini is excellent in soup, side dishes, entrées and are ideal for children’s menus. Turri’s Tortelloni with Beef is filled with lean ground Beef, Asiago Cheese and Parmesan Cheese. 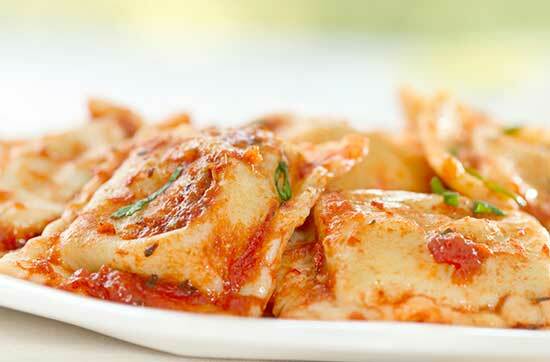 Beef Tortelloni is excellent in soup, side dishes, entrées and are ideal for children’s menus. Turri’s Cappelletti with Beef is made with Beef, Parmesan Cheese and Asiago Cheese. Beef Cappelletti is excellent in soup, side dishes, entrees and are ideal for children’s menus. 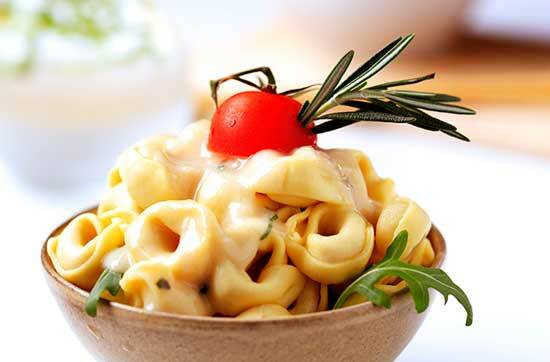 Turri’s Tortellini with Cheese is filled with Ricotta, Mozzarella and Asiago Cheeses. These bite size pasta rings are excellent when served in cream sauce, red sauce or pesto sauce as an entrée or side dish. They are ideal for use at pasta bars. They are also “kid size,” making them ideal for children’s menus. Turri’s Tortelloni with Cheese is twice the size of Tortellini and are filled with Ricotta, Parmesan, and Asiago Cheeses. 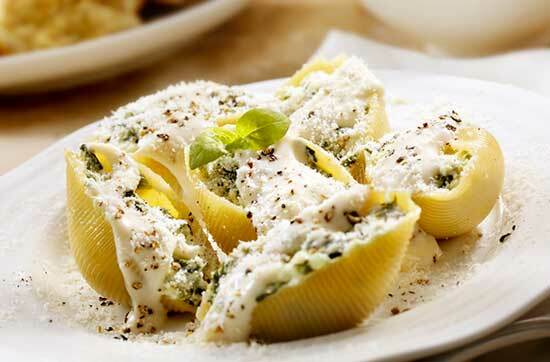 Turri’s Spinach Tortellini with Cheese is filled with Ricotta, Mozzarella and Asiago Cheeses. They are excellent when served in cream sauce, red sauce or in a cold pasta salad. 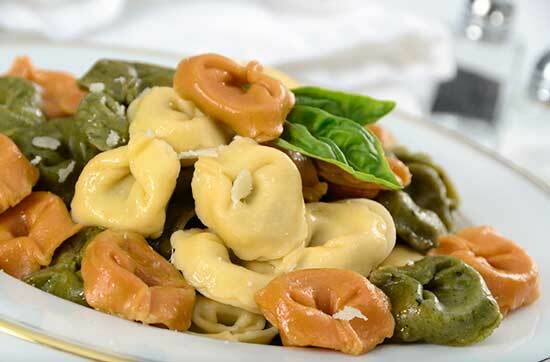 Turri’s Tri-Color Tortellini with Cheese is a bite-size pasta ring filled with Ricotta, Mozzarella and Asiago Cheeses. Our Tri-Color Tortellini is made with Paprika (orange), Spinach (green) and Plain Egg dough (white), which make a colorful salad when mixed with fresh vegetables and Italian salad dressing or in a cream sauce for an entrée or side dish. Turri’s Tri-Color Cappelletti with Cheese, or “Little Hats,” are bite size pastas filled with Ricotta, Parmesan and Asiago Cheeses. Our all natural Tri-Color Cappelletti is made with paprika (orange), spinach (green) and plain egg dough (white), which make a colorful salad when mixed with fresh vegetables and Italian salad dressing or in a cream sauce for an entrée or side dish. Turri’s produces some of the best Italian food in the market today. Southeast Michigan is well known for it’s Italian roots and commonly referred to as “Little Italy”. Here you’ll find great people and some of the best Italian food in America. Through 4 generations, the Turri family has been producing excellent pasta dishes using old family recipes. Our stuffed shells, Manicotti, and Cannelloni are delicious and our processes protect the wonderful flavors and integrity of the pasta. Turri’s Stuffed Shells are prepared ready-to-cook, filled with delicious Italian cheeses or cheese blends. Our Manicotti and Cannelloni are prepared with premium beef, veal, rich blends of Italian cheeses and are also ready-to-cook. Turri’s Cheese Stuffed Shells are 2.25oz and are filled with our “Quattro Formaggio” blend of Ricotta, Romano, Parmesan and Mozzarella Cheeses. Turri’s Cheese Stuffed Shells are 2.75oz and are filled with our “Quattro Formaggio” blend of Ricotta, Romano, Parmesan and Mozzarella Cheeses. Turri’s Cheese Florentine Stuffed Shells are 2.75oz and are filled with a rich blend of Ricotta, Romano, Mozzarella, Parmesan and Spinach. Turri’s Manicotti Florentine is a delicious blend of Ricotta, Romano, Parmesan and Mozzarella cheeses mixed with spinach all rolled in our homemade, egg enriched, fresh pasta. Turri’s Manicotti with Cheese is made with our four cheese blend of Ricotta, Romano, Parmesan and Mozzarella and rolled in our homemade fresh egg pasta. Turri’s Cannelloni with Beef is made with lean ground Beef, Ricotta Cheese and Asiago Cheese are rolled in our fresh egg pasta. Turri’s Cannelloni Florentine with Veal is a delicious blend of ground Veal, Romano and Ricotta Cheeses, Spinach and Carrots, rolled in our homemade fresh egg-enriched pasta. Turri’s Pierogis and Gnocchi are pre-cooked and IQF (Individually Quick Frozen) for quick and easy preparation. Turri’s Pierogi with potato and cheese are and made with extra large crescent shaped pillows of pasta filled with real mashed potatoes and cheddar cheese. 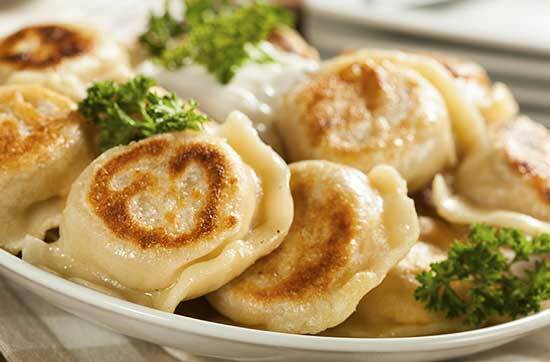 Our Pierogis are pre-cooked and IQF to protect the integrity of pasta and maintain great flavors. Turri’s Gnocchi are pre-cooked to perfection, made with egg-enriched pasta and real mashed potatoes. These bite-size potato dumplings make an excellent entrée or side dish when served in your favorite sauce. 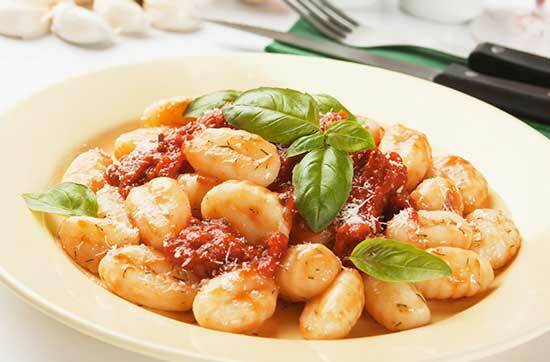 Gnocchi makes a great alternative to potato when sautéed in garlic butter and finished with fresh basil. 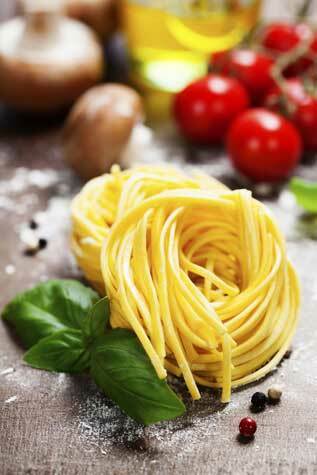 With our long history of pasta making, we are experts in recipe development. We’ll formulate custom recipes just for your restaurants, special dishes, and new products. 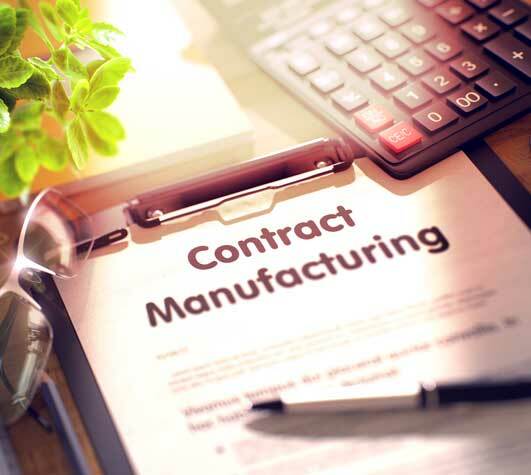 Turri’s can manufacture your own proprietary recipes in a variety of quantity and packaging size options.